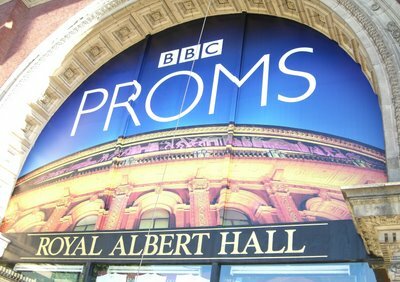 The BBC Proms concert due to take place tonight (Sunday Sept 3) has been cancelled after a small fire at the Royal Albert Hall. The London Fire Brigade say they were called to the incident in the artist's bar at the venue earlier. No-one was injured or trapped but part of the building was filled with smoke. The concert was due to feature works by Beethoven and Matthias Pintscher. The performance by the Philadelphia Orchestra was to be broadcast live on BBC Four and BBC Radio Three. The BBC and the venue released a joint statement shortly before the concert was due to start. "Due to loss of electrical power following a minor fire at the Royal Albert Hall, it is with great regret that the Royal Albert Hall has been forced to cancel this evening's performance by the Philadelphia Orchestra," it said. "We would like to assure you that urgent work is being carried out to repair damage and we aim to make the hall available for full use as soon as possible. "We hope that both Proms scheduled for Monday 4 September (Prom 67 and 68) will go ahead as planned. A further statement will be issued when any further information is available." All ticket-holders would get full refunds, it added. People who bought tickets from the Royal Albert Hall by telephone will be refunded within seven days. Those who purchased tickets with cash have been advised to send their tickets to the venue by post.